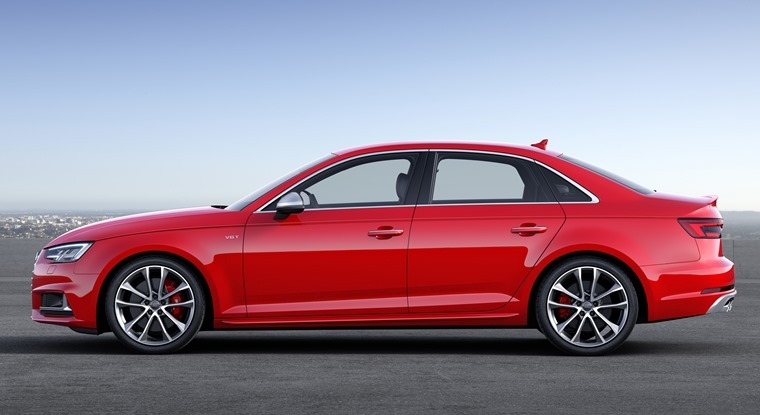 Subtle and sporty, the S4 is arguably the most rounded, able and appealing car that Audi makes right now. 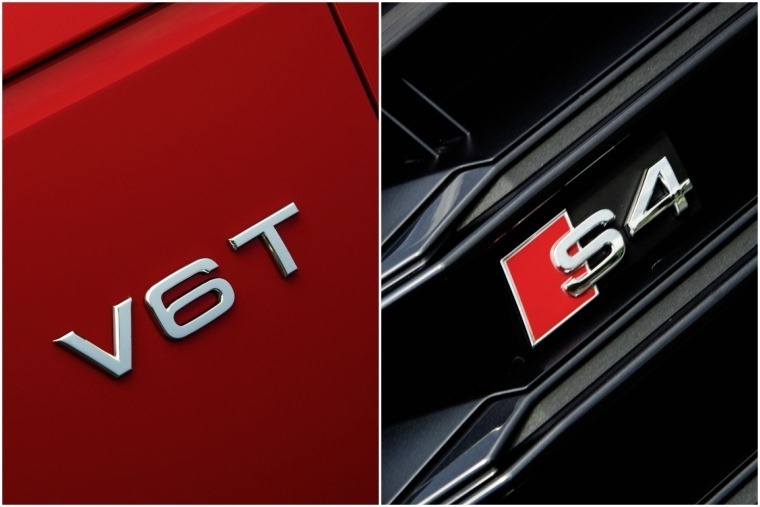 The ‘S’ in Audi’s S4 stands for Sport, but it could just as easily be for ‘subtle’. That’s meant in the best possible way as this 354hp saloon or estate is discreet in a manner its RS4 sibling and many other rapid mid-size cars fail to manage. Why choose something understated? Well, there are the obvious reasons of not attracting the unwanted attentions of ne’er-do-wells and the Thin Blue Line. There’s also being able to blend in with other traffic as you go about your daily business and not looking too showy. There’s something very satisfying in knowing your S4 can head from nought to 62mph in only 4.7 seconds. There’s also something very satisfying in knowing your S4 can head from nought to 62mph in only 4.7 seconds as a saloon like the one we tested, or 4.9 in the Avant wagon. Both share the same electronically limited 155mph top speed, though the car could clearly exceed this by some margin if given free rein. So, the S4 has the Q-car thing nailed down tight. We like this a lot and not just because it lets you own a very fast car without being too obvious. 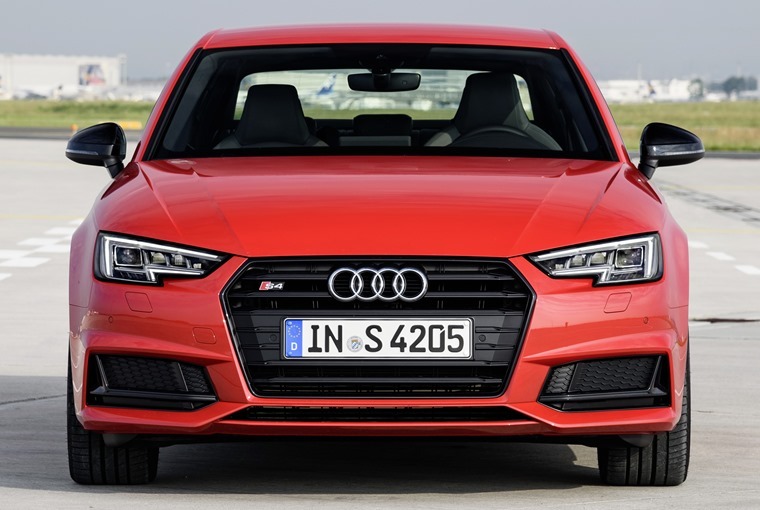 There are some much more fundamental reasons for choosing the S4 over its rivals, and even the RS4. First off is the engine. A turbocharged 3.0-litre V6 replaces the previous turbo’d item and it delivers its 345hp between 5400- and 6400rpm. This means you have to rev it to get the most from the unit, but then this is a sporting machine and it sounds glorious as you close in on the red line. The turbocharged 3.0-litre V6 makes the S4 very flexible in all conditions, and can pootle just as serenely as you can hurtle. You don’t have to thrash it, either, to make very quick progress as peak torque of 369lb ft arrives at a mere 1370rpm and remains in a flat plateau of oomph all the way to 4500rpm. It makes the S4 very flexible in all conditions, so can pootle just as serenely as you can hurtle. Making the most of the silken V6 motor’s thrust is a standard eight-speed automatic gearbox. No dual-clutch cog swapping here, but the S4 doesn’t feel any less of a sports car for it and the changes are quick and seamless. Okay, a manual gearbox option would be appreciated by the harder core of driving enthusiasts, but in 95% of driving situations you’ll never even think about it. 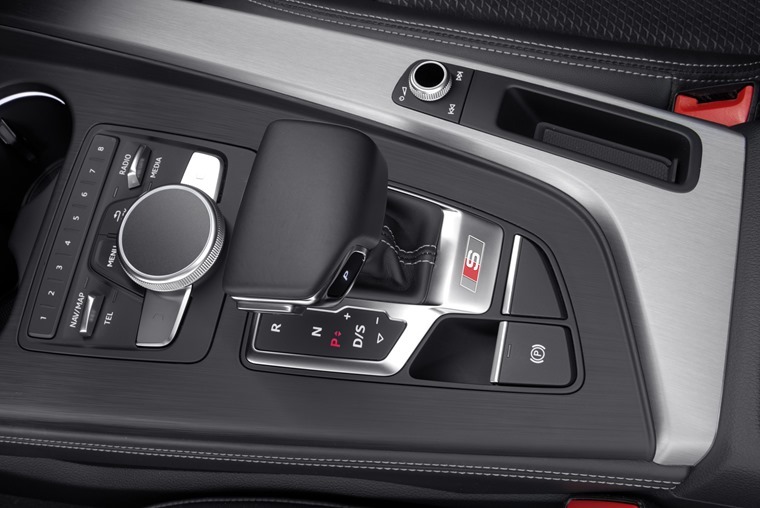 You can quicken up the transmissions responses with the Audi Drive Select. Of course, you can quicken up the transmissions responses with the Audi Drive Select that lets you pick from Comfort, Dynamic, Auto and Efficiency modes. We tried all four settings and the eco one does save a bit on fuel by working up through the gears in rapid succession. Even so, it will offer a nimble turn of speed when you floor the throttle pedal. The Comfort and Auto settings work well, but best of all is the Dynamic option that lets you drive the S4 as easily or as hard as you want and it’s always alert to your driving desires. Best of all is the Dynamic option that lets you drive the S4 as easily or as hard as you want. On top of this, the customisable settings have a bearing on the firmness of the suspension and feedback from the steering. Given its role in life as a quick car, the S4 performs admirably over the broken surfaces that pass for roads in the UK. Much of this is down to the intrinsically good set-up from the standard A4 range. Yet there’s an impressive balance to the S4 that lets you push hard on twisty routes without ever jarring its occupants or becoming deflected from its intended path. The steering could do with a little more feel and sensation, but we’re not going to criticise the S4 much for this as it’s an easy car to live with. Audi has also performed a good job of feeding large amounts of power through the front wheels as part of the Quattro all-wheel drive system. With traction shared by all four tyres, the S4 feels unshakeably in control and on your side at all times. With traction shared by all four tyres, the S4 feels unshakeably in control and on your side at all times. For some, this might be a little too competent compared to the likes of the BMW M240i or Mercedes-AMG C43, but when you want to get from here to there in good time without any fuss, the Audi is the car to be in. Yet it also has its fun side and there’s a real pleasure to be had in driving the S4 precisely, neatly on an empty back road. It’s not a car to be driven by the scruff of its neck, but it rewards a more considered approach. Again, subtle wins out over brute force. On top of this, the S4 will carry you and four passengers in comfort. There’s not a huge amount to mark out the cabin aside from the Nappa leather-covered front sports seats. There’s some brushed aluminium trim, which can be upgraded to carbon fibre at extra cost, but that’s about your lot. 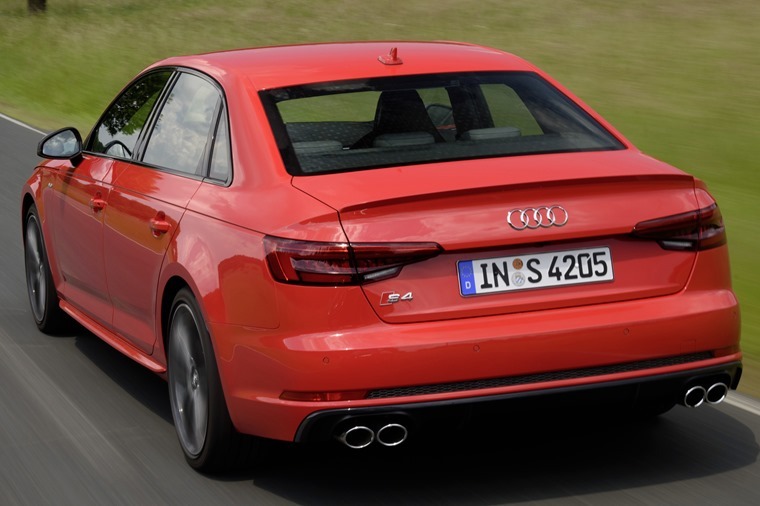 The S4 offers 37.7mpg combined economy in the saloon and only 0.5mpg less in the Avant. 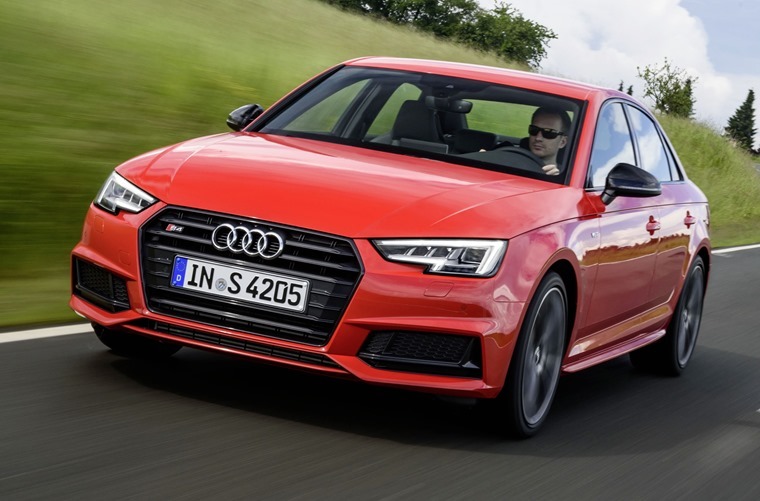 Another reward for this lower key approach to going quickly is the S4 offers 37.7mpg combined economy in the saloon and only 0.5mpg less in the Avant. The four-door registers 170g/km of carbon dioxide emissions, while the estate comes in at 175g/km, so neither is especially punishing for cars of this performance, power and price. Ah yes, cost. List is £45,200 for the saloon and the Avant is a further £1,700 on top of that. When it comes to leasing, the strong residuals of Audi’s compact executive rocket means you won’t be shelling out any more than for its close rivals, so the S4 makes a sound fiscal case for itself. More importantly, the S4 is arguably the most rounded, able and appealing car that Audi makes right now. It may not have some of the flexibility of its SUV and crossover sister models, but it’s as practical as it is quick. Also, the S4 makes you feel like you’re getting away with something, flying under the radar and that’s priceless.